Breathing new life into a heritage complex, this turn-of-the-century historic building had been the United Drugs Factory in Toronto’s Riverdale neighborhood. 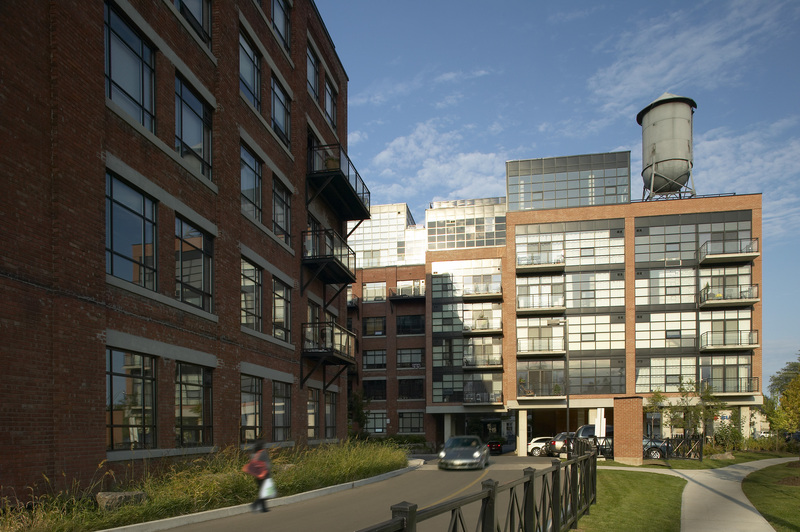 Led by Turner Fleischer, the Broadview Lofts is its conversion into a contemporary true loft-style condominium project. 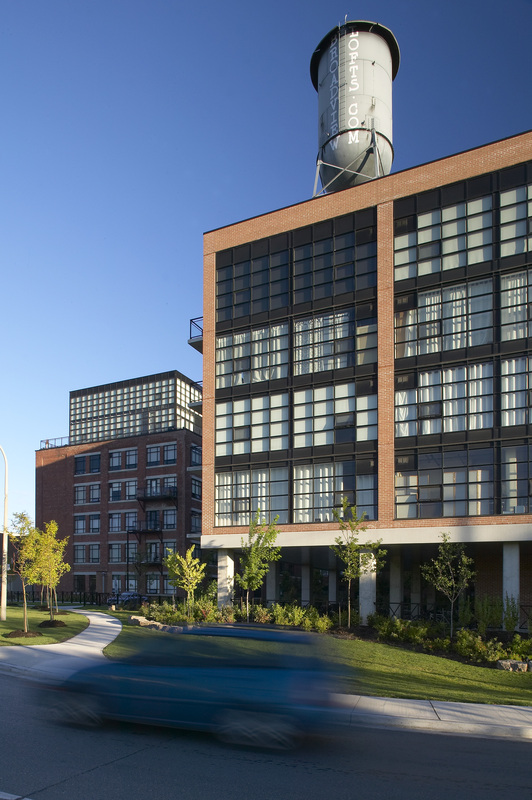 Offered the opportunity to preserve the spirit of its industrial history, Turner Fleischer retained the look and feel of the existing U-shaped industrial building, while accommodating a two-storey glass penthouse addition and a five-storey complementary extension along Broadview Avenue in Toronto. Aiming to preserve as much of the original site as possible, the iconic rooftop water tower was worked into the building’s final design. The adjacent row of eight new townhouses extends the project’s street presence, incorporating a rear green-roofed parking structure, one of the many sustainable initiatives at the site. 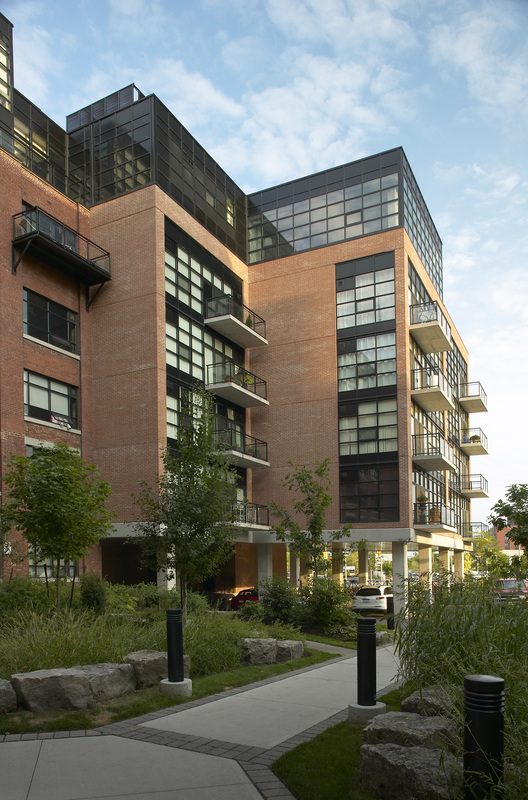 The central space became a welcoming landscaped courtyard, enhancing residents’ experience and leisure options. We actively promote a culture of thought leadership and continuous learning. 2019 © Turner Fleischer Architects Inc. All rights reserved.